Cindy's interview with Cryptic Rock is here. Big Blend Radio talks about Cindy's busy 2017 here. All about Jazz discusses "Fun, Party, Splash" here. 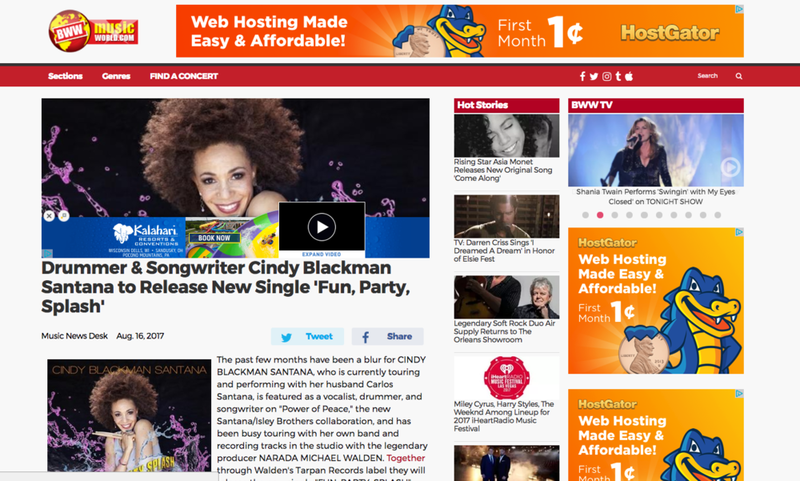 Jazz Corner talks about Cindy's newest single, "Fun, Party, Splash." Read about it here. KWBE's take on "Fun, Party, Splash" here. Read about Broadway World's take on "Fun, Party, Splash" here. Cindy has a conversation with the Herald de Paris here. Cindy, Carlos, and the Isley Brothers talk about their "Power of Peace" album with Elmore Magazine here.